Elton John and Billy Joel at the Sprint Center announced today! 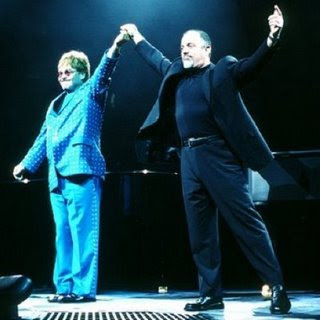 Elton John and Billy Joel will bring their Face 2 Face tour to Kansas City's Sprint Center in the Power and Light District on December 1st, 2009. Tickets will go on sale at 10 a.m. Saturday for the Face 2 Face Tour. Tickets can be purchased through Ticketmaster outlets, ticketmaster.com or charged by phone at 1.800.745.3000. Heading southbound on I-435 after a KC Chiefs game is quite an experience. The cars move in and out of lanes with sloppy, sudden movements - and most everyone is going about 15 mph under the speed limit. Basically, everyone is wasted - and driving. 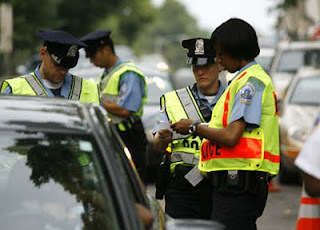 Although I've never seen any serious wrecks, or have really never heard about any serious problems with the post-game drunken parade - it seemed curious that there is never a DUI checkpoint set up by Kansas City Police. After speaking to a few Kansas City residents about this phenomenon, we told that the KCPD attempted a DUI checkpoint after a Chiefs game a couple of seasons ago. The KCPD set up a DUI checkpoint on Southbound 435 and immediately backed up traffic on the major highway for almost 17 miles! Just imagine being a trucker heading to your destination and having to sit through 17 miles of parking lot gridlock. The results of the DUI checkpoint were astounding. After stopping over 4000 vehicles, only 7 arrests were made. The results of the KCPD's DUI checkpoint after a Chiefs game were so embarrassing and unsuccessful that they have not conducted one since.